Google Enriched Job Search or Google for Jobs is a new offering from Google that aggregates millions of jobs from job boards, career sites, social networks and other sources. 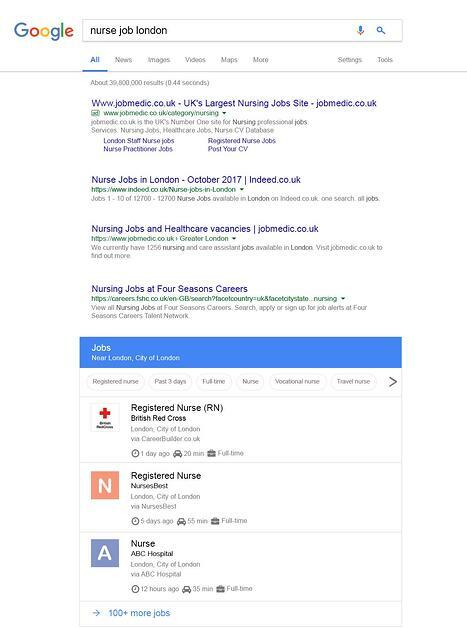 Job seekers can use Google to search for “jobs near me,” “nurse jobs,” or similar queries, and receive in-depth results on jobs from across the web. Users can also search for key criteria such as commute time, job specialties they have honed or the hours they are available to work. Enriched Search does not replace standard Google search results. Rather, it is a supplemental set of results displayed in a box situated above the standard results listings on Google. For the most part pure aggregates like Indeed are being excluded from Google for Jobs. 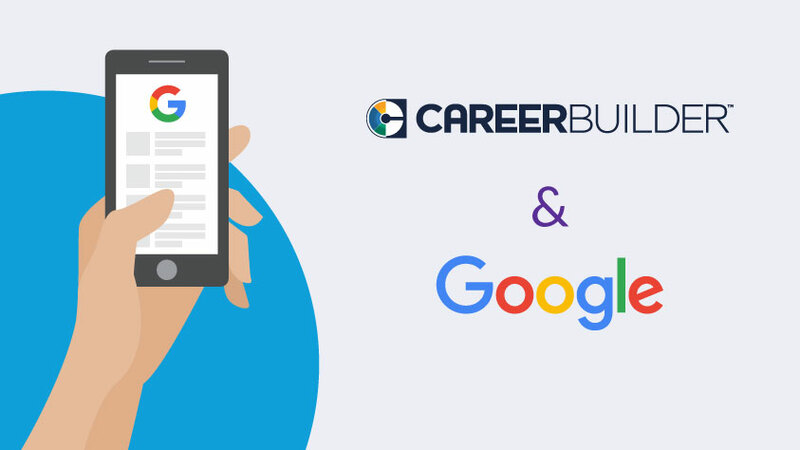 CareerBuilder is one of the official launch partners of Google’s new job search feature. We have been working early on marking up our job content on the job sites to be eligible for display in job search. “Registered Nurse” is a thousand times better than “Ninja Registered Nurse”. Leave the gimmicky words out of your titles. “Senior Marketing Manager” will be much more discoverable than “Sr. Marketing Manager”. Google’s search algorithms rank non-abbreviations higher than abbreviations. Google for Jobs is designed for job seekers, not recruiters. Google believes candidates want to know the salary of the job before they apply. Therefore, those job postings with salary will show up higher in their results. Google does not care about your thoughts on this. The data shows postings with salary information get more traffic than those without, even when the salary is below market rate. See the explanation above. Google for Jobs is for job seekers, and job seekers want to know where the job is. Jobs with exact locations will show up higher in results. Traditional SEO was about keyword stuffing. Put as many words as possible into the post about the job and it will more likely rank higher. Google figured out people were doing this, and they are now ranking those postings lower. You still need to write great job postings, but you don’t need “Java Developer” in a posting 25 times. Five mentions will do just fine. You can specify the image Google Search will use for your organization in the search results. Google Search uses markup to recognize the image to use as the organization’s logo. Markup like this is a strong signal to Google Search algorithms to show this image in Knowledge Graph displays. You can find the markup and the properties table here.